Profile: Skywarp is the sneakiest of the Decepticons. On Cybertron he was known to appear out of nowhere in the middle of peaceful Autobot villages to rain terror and destruction upon them, if the mood hit him. He'll even use his teleportation powers to play a prank on a fellow Decepticon. Skywarp's sense of humor tends to be rather cruel and physically abusive. Skywarp isn't too smart and would be totally useless without the supervision of Megatron. 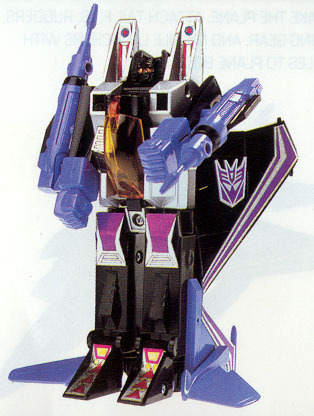 Abilities: Skywarp can reach a top speed of 1500 mph. But what makes him unique is his ability to instantly teleport himself a maximum distance of 2.5 miles. He also carries a heat seeking missile launcher and a variable caliber machine gun. 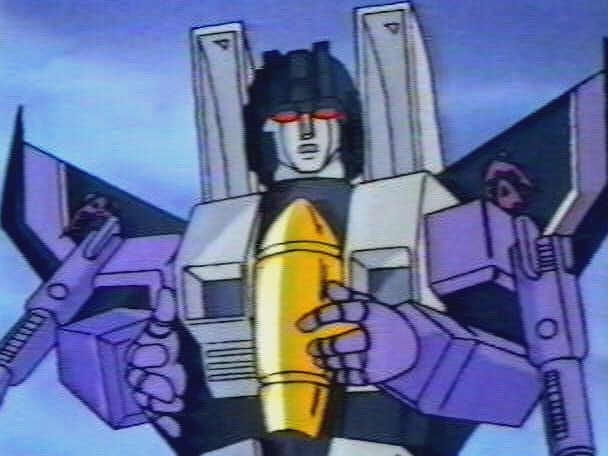 Weaknesses: Skywarp's control of the accuracy of his teleportation power diminishes as the distance he teleports increases. 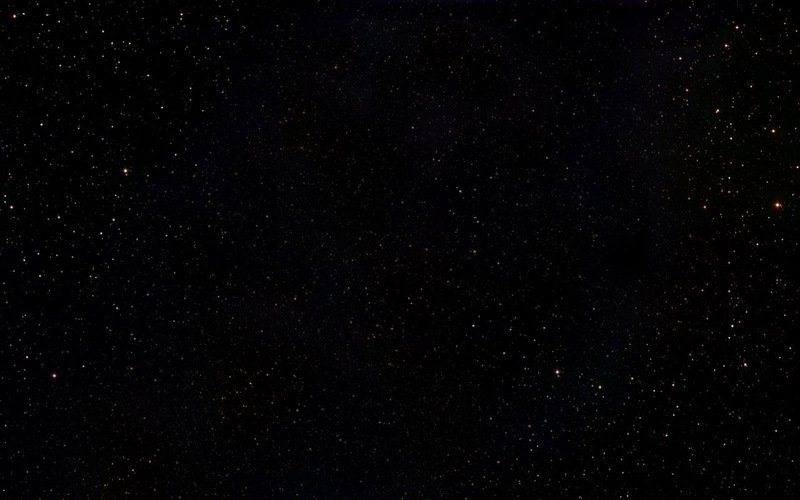 As a result, if he's not too careful, he's likely to crash into things when he arrives at where he's teleporting. Not being too bright doesn't help him avoid these accidents either! 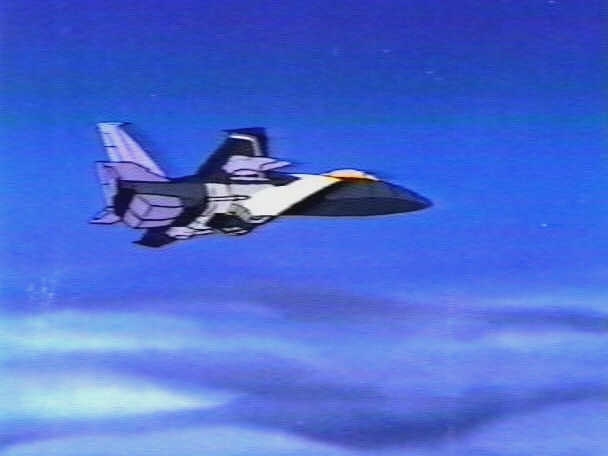 Other appearances: It was a brief moment, but I believe that we get a glimpse of Skywarp lying deactivated aboard the Ark as BW Megatron flies over him in The Agenda part 3. To the best of my knowledge, Skywarp hasn't been mentioned or seen in Beast Machines.